Dwarf Elephant; genus names include Mammuthus, Elephas, and Stegodon. 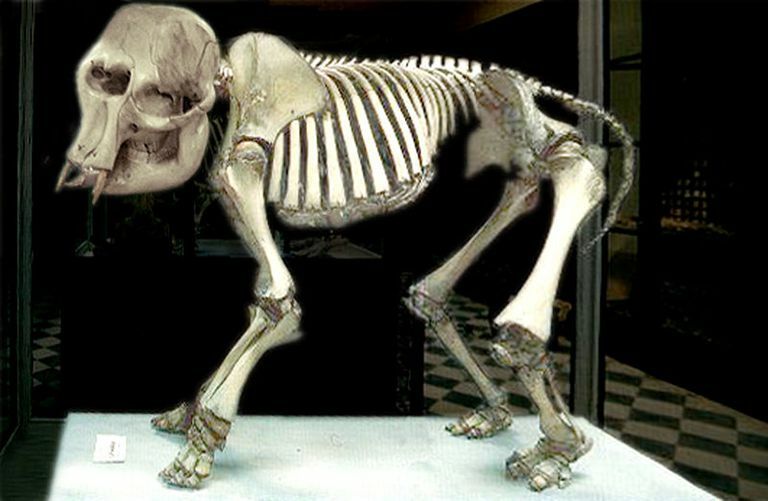 Few prehistoric mammals have been as baffling to paleontologists as the Dwarf Elephant, which didn't comprise just one genus of prehistoric elephant, but several: the various Dwarf Elephants that lived on various Mediterranean islands during the Pleistocene epoch were made up of stunted populations of Mammuthus (the genus that includes the Woolly Mammoth), Elephas (the genus that includes modern elephants), and Stegodon (an obscure genus that seems to have been an offshoot of Mammut, aka the Mastodon). Further complicating matters, it's possible that these elephants were capable of interbreeding--meaning the Dwarf Elephants of Cyprus may have been 50 percent Mammuthus and 50 percent Stegodon, while those of Malta were a unique blend of all three genera. While the evolutionary relationships of Dwarf Elephants are a matter of dispute, the phenomenon of "insular dwarfism" is well understood. As soon as the first full-sized prehistoric elephants arrived on, let's say, the small island of Sardinia, their ancestors began evolving toward smaller sizes in response to limited natural resources (a colony of full-sized elephants eats thousands of pounds of food every day, much less so if the individuals are only one-tenth the size). The same phenomenon occurred with the dinosaurs of the Mesozoic Era; witness the shrimpy Magyarosaurus, which was only a fraction of the size of it continental titanosaur relatives.